My nieces love finger puppets so I thought on my next visit home to see them I’d bring along supplies for making our own puppets. 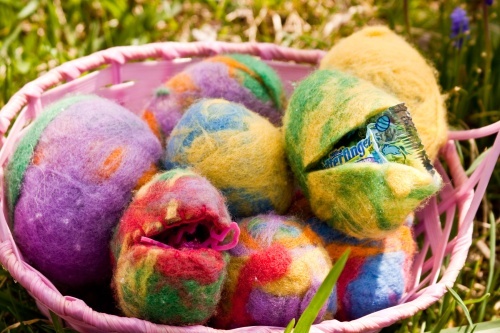 Here’s a variety of puppet making projects to inspire you and your little ones. Great especially for a rainy day craft. 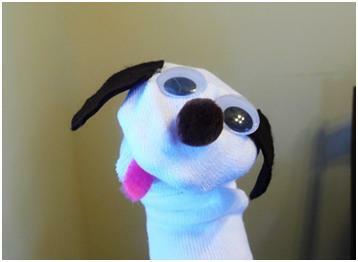 Sock puppets are the classic, inexpensive, puppet project we all know and love. Here’s a great tutorial to get you started. This entry was posted in Crafts, Crafts for Learning, DIY gift ideas, Family Crafts, Kid's Crafts, Recycled Crafts, Toddler Crafts and tagged Crafts for Learning, Family Crafts, Green Crafting, Recycled Crafts, Techniques and Mediums, Toddler Crafts on September 14, 2015 by Maria. 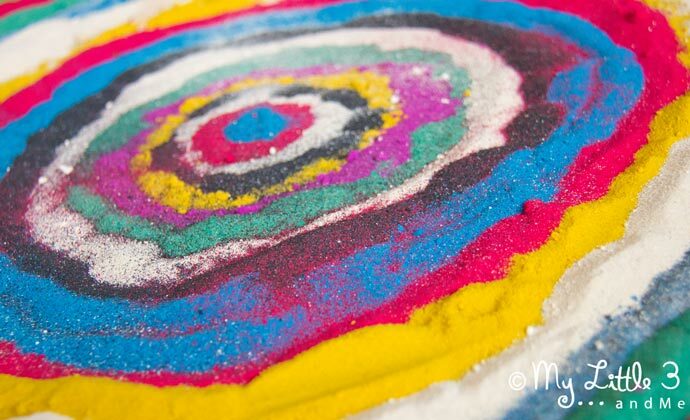 I love playing with sand just the way it is, but I thought summer vacation would be a great time to round up creative new ways of playing and creating with sand. Growing a Jeweled Rose has so many terrific play recipes for sand. Here is a favorite I’ve tried with my niece’s that they loved. I find the following tutorial really exciting. It gives kids the opportunity to learn about Rangoli Designs made during Diwali celebrations and to make or ‘perform’ their own temporal art. The possibilities are endless, but the art created is not lasting, so remember to have a camera handy to capture the experience and beauty of Rangoli Inspired Sand Art. The next project is another great outdoor craft for school aged kids that would make a lovely outdoor or indoor decoration. 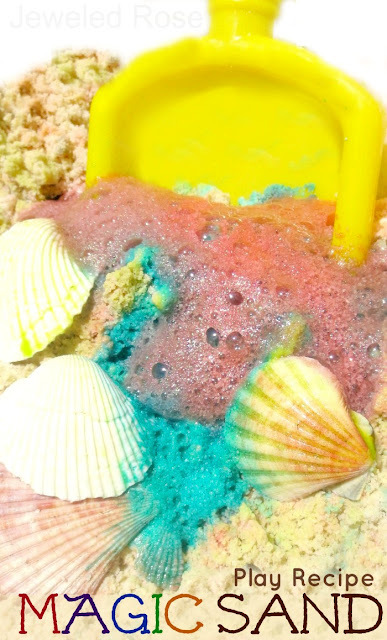 Here’s another awesome activity for on the beach or at home. 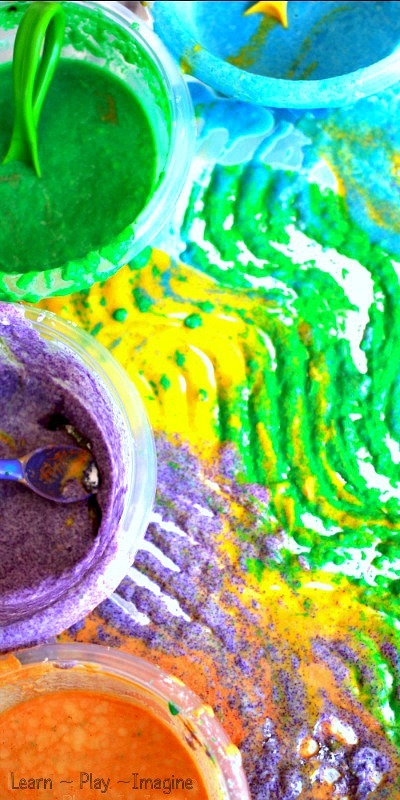 Magic Aqua Sand is fun and educational with really cool results. This next tutorial is a great way to liven up sand and use it to create a bright, textured medium. This entry was posted in Crafts, Crafts for Learning, Family Crafts, Kid's Crafts, Summer, Toddler Crafts and tagged Crafts for Learning, Family Crafts, Outdoor Crafts, Painting, Sand Art, Sand Play, Techniques and Mediums on August 10, 2015 by Maria. 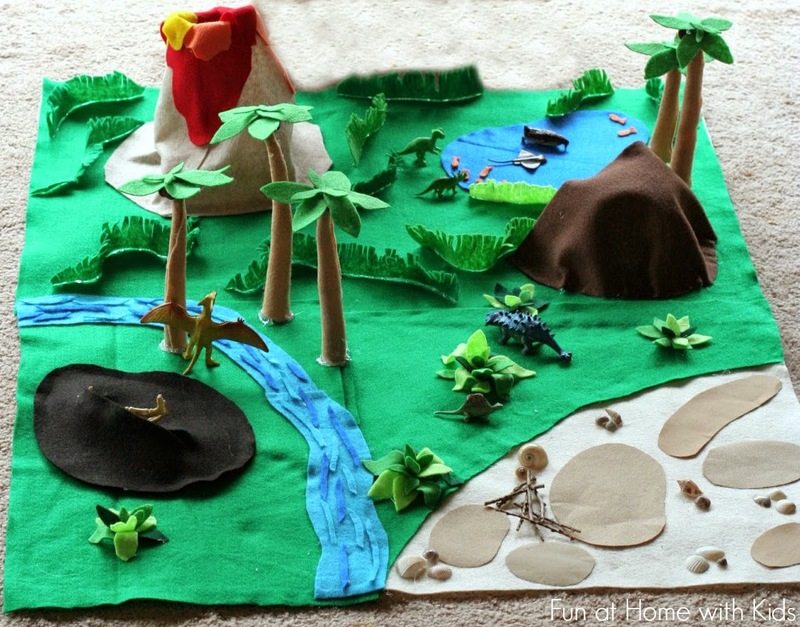 This entry was posted in Clay Crafts, Crafts, Crafts for Learning, Family Crafts, Kid's Crafts, Toddler Crafts and tagged clothespins, Crafts for Learning, Dinosaurs, Family Crafts, Felt, salt dough, science, Sensory Play, Sensory Table, Slime, Techniques and Mediums, Toddler Crafts on June 1, 2015 by Maria. This Spring I’m feeling more enthusiastic than usual about sprucing up my surroundings. My husband and I bought our first home this year and there are still many bare walls in need of arts and crafts. 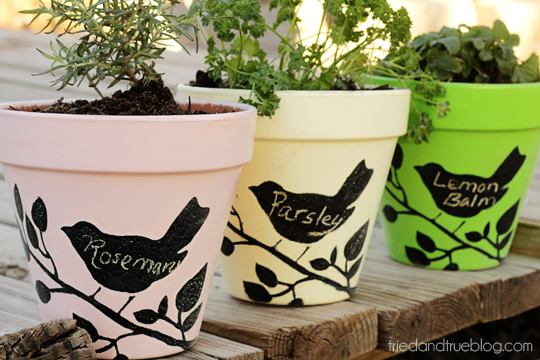 What better way to spruce things up than with pretty stencils and paint! Stencils and paints are on sale and I’m busy drafting up projects for wall art, patio art and some newly decorated accessories to make with my pretty new supplies. I’m enamored with the Folkart Bird stencils. I can’t wait to use them on my husband’s herb planters. The chalkboard paint also gives the planters such a clean bright quality. This entry was posted in Craft Trends, Crafts, DIY gift ideas, Floral Crafts, Holidays & Seasons, Home Decor, Spring, Wall Art and tagged Chalkboard Paint, Crafts to Wear, DIY gift ideas, Garden Crafts, Painting, Techniques and Mediums on May 23, 2015 by Maria.